Car washes are multi-billion dollar industries, a staggering number that's not surprising when you consider the millions of vehicles on the road every day. Every car, SUV or truck owner wants a spotless drive, and that’s where having plenty of trustworthy microfiber towels on hand makes sense. 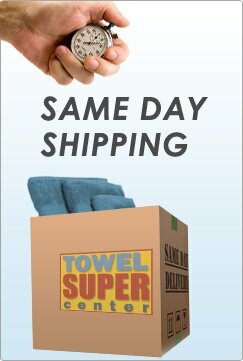 At Towel Super Center, we offer wholesale pricing on microfiber towels to ensure you always have enough on hand. Not only are our towels sized perfectly at 14” by 14”, but they wash and wear well, which means you can spend less upfront and get more in the months to come. Wowing car detailing customers just got easier and more affordable with microfiber towels on wholesale. Order the ideal number of towels for your needs, and remember that with us, you always get lower per-towel prices the more units you purchase. Car detailing involves a significant amount of rubbing, polishing and scrubbing. What does this mean for you and the rest of your car-detailing team? You need towels that you can rely on to get the job done efficiently and effectively. 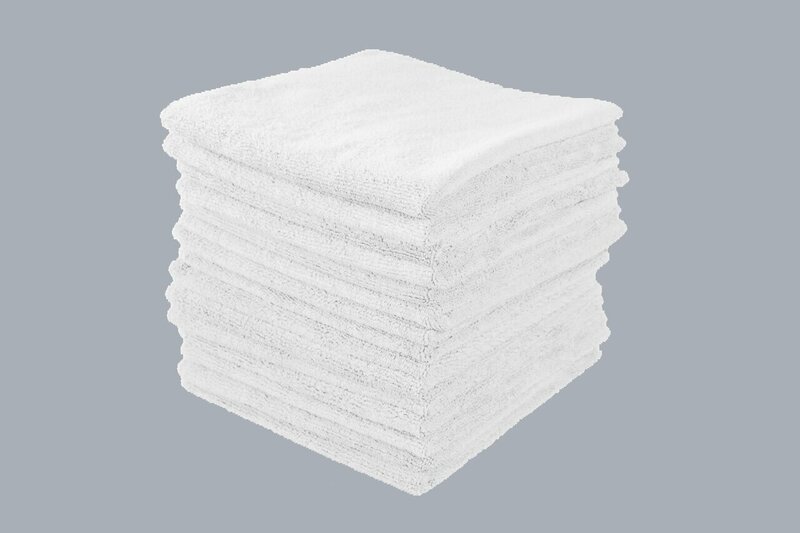 Our white wholesale microfiber towels are constructed from a mixture of polyester and polyamide. These two fabrics ensure high degrees of dependability. Not only will your car detailing towels soak up moisture such as cleaning product residue, but they will remain flexible and strong. Over time, you’ll see how different our microfiber towels are from their car detailing counterparts. Not only will you get more uses per towel with our polyester blended microfiber, but you’ll appreciate not having to constantly purchase new towels for your business — ours will last. Place your order for enough microfiber towels in white to remain stocked up and never run out of these handy, essential tools. Your white microfiber towels can be washed repeatedly without worry about them breaking down during the laundering process. Use any type of cleaning product that you prefer, from standard to eco-friendly options. If they become discolored due to grease and other stain-causers, wash them with a bleach-alternative cleanser. You may also add bleach to the laundry. To increase any towel’s absorbency factor, avoid adding a liquid softener during the washing cycle. Softeners tend to leave a barrier that resists absorption. Still want a softer feel after removing your towels from the dryer? Use dryer sheets instead, and you’ll get all the softness without any of the problems associated with limited thirstiness. Remember that Towel Super Center has all the towels you need to keep your business operating at peak capacity for the long run. 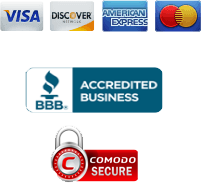 Aside from these wholesale white microfiber towels, you can order other towels from us to keep on hand. These could include anything from towels specifically for polishing and buffing, to hand towels for your tough-working crew’s needs. 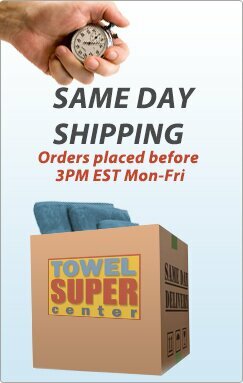 Have your new towels delivered right to your car wash or car detailing address. Use online ordering for total ease.